An extract from the blog…. Emma and Ross won their wedding after entering the ‘Lula Mai Big Day’ competition, hosted by a team of military wives at Lula Mai Events. The competition was open to all military, fire, police and ambulance service workers as a thank you for all they do. To enter, each couple had to state why they deserved to win the competition and what had held them back from getting married before. Rachel Williams, owner of Lula Mai Events, had the very tough decision of choosing the winner from the many worthy competition applicants. Entrants were judged on many different criteria including the length of time they’d been together, their ability to cope with pressure, their commitment and compatibility, story and future plans. Emma and Ross were given the good news they’d won, and a meeting was set-up with Christina Barker of Chantilly Rose Weddings and Events, who had pledged their full wedding planning package to enable the process to run smoothly. Wedding flowers are undoubtedly one of the most important elements of any big day. They add style, colour and elegance. They reflect the couple’s personality and often include personal touches that make them very special. A wedding simply wouldn’t be the same without the flowers! Ross and Emma’s flowers will be provided by Rachel Williams of CitrusMoon, an independent florist, specialising in weddings and events. RacheI looks after brides who have budgets from £100 to £10,000 and designs unique bridal flowers for each occasion. She also supplies centrepieces for larger events, such as local business awards, and has many regular clients in the local community. Rachel’s going to be busy in the run up to the Big Day as she’s generously providing Emma’s bouquet, three bridesmaids’ bouquets, a flower wand, buttonholes, top table arrangements and centrepieces. 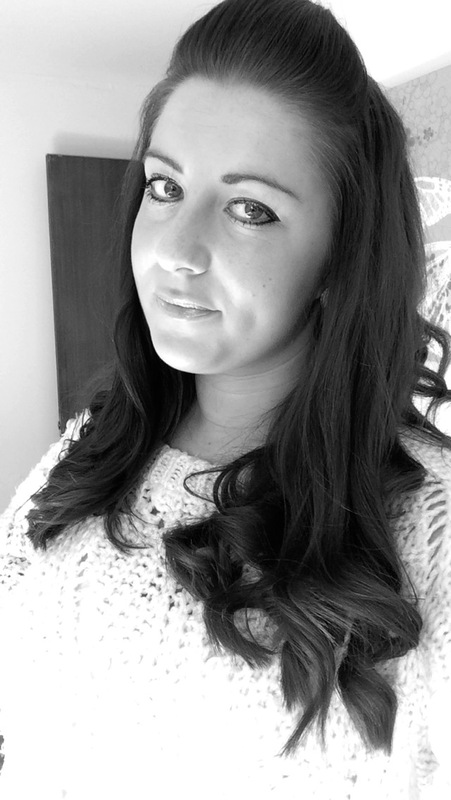 CitrusMoon is a second career for Rachel who previously worked in a corporate role for 24 years. She felt she had reached her ceiling within that industry, her husband’s work commitments were changing and she saw it as an opportunity to do something she wanted to do, rather than something she needed to do to pay the bills. So she undertook some training and set up CitrusMoon just a few years ago. CitrusMoon provides bespoke, contemporary and affordable floral designs for occasions, interior design and corporate functions. To find out more, visit www.facebook.com/CitrusMoonDesigns, email citrusmoon@live.co.uk or call 07739 506617. With little more than two weeks to go until The Big Day, the focus is starting to turn to the ceremony itself, so it’s time to introduce celebrant Judy Mansfield of Cherish Ceremonies. As a civil celebrant, Judy designs and delivers ceremonies for all life’s occasions – weddings, vow renewals, baby namings, funerals and memorial services – both nationally and internationally. Her Big Day pledge is to design and deliver Ross and Emma’s wedding ceremony. 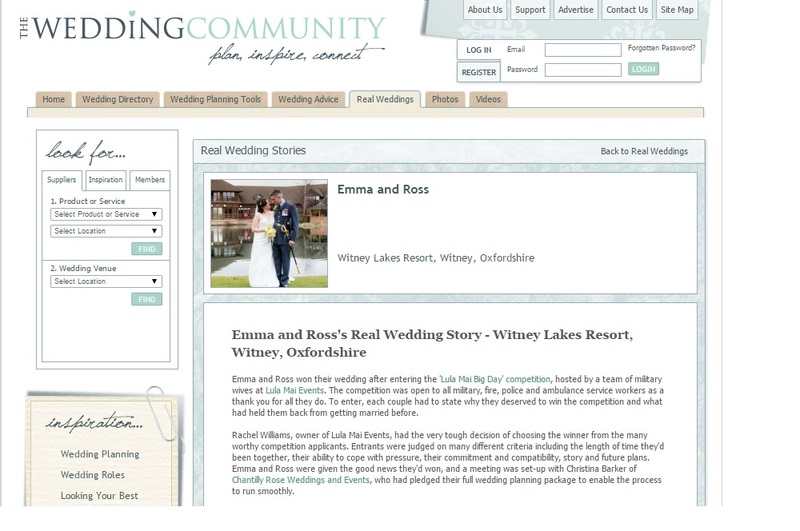 Judy has been working with Emma and Ross to create the ceremony they want. She says, “They are relaxed and chilled with a good sense of fun and I wanted to reflect their personalities in the ceremony. Most importantly, I want it to be about them”. “Every ceremony is unique and starts with a blank piece of paper and a conversation. Ceremonies are incredibly personal – the wedding is all about the bride and groom. We start with the vows. Those massive promises that a couple make to one another should have some input from them, yet a religious wedding or a registrar ceremony use the same wording that everyone else says. But those promises may not be right for you – so with a celebrant, you have the chance to promise what is comfortable and right for you as a couple. “Unlike a humanist celebrant, or a registrar, I will – and do – include religion in my ceremonies if it is required. A ceremony is not about my beliefs, but about the people I am writing for. “I also include symbolic rituals that couples can choose from. These can be anything from a Loving Cup (where the couple each pour wine – red and white usually – to make a blended rosé and then drink from the same cup after their vows have been made. Or a Time Capsule, where they place Love Letters to one another to be opened at a future date, plus letters from their parents and/or their children. I included an element of a tea ceremony in a Chinese Wedding last year, which was great fun. “I have spoken a few words or sentences in various languages at ceremonies, to reflect the guests’ or the couple’s nationality. This is often done phonetically – I only speak French. But I have used Portuguese, Chinese, Gaelic, Welsh, German and Italian. 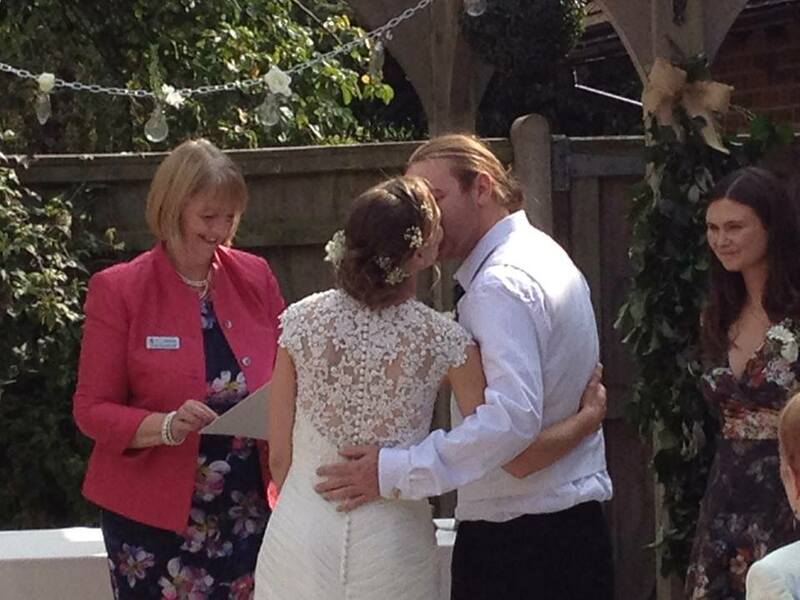 Everything is possible with a celebrant! “I Googled ‘celebrant’ and Cherish Ceremonies was born! When Judy and her husband came back to the UK after 10 years overseas, to look after elderly parents, she needed to find something she could do that gave her flexibility. Self-employment was the answer – but doing what? Judy’s job had involved extensive and frequent European travel, which wasn’t going to be feasible any more. Judy has known Rachel and Sally, of Lula Mai Events, for some time so, when Rachel asked her to be involved, she immediately said yes. Capturing the precious memories of the bride and groom’s special day is a big responsibility. Meet Darren Bedding, the photographer trusted with capturing Ross and Emma’s Big Day and all the moments which will stay with them forever. Darren is providing a full day of wedding photography, with a second photographer (and good friend), Nick Stevens, providing additional footage of the Big Day. Darren also provided a pre-wedding shoot, so that he could get to know Emma and Ross before their wedding day. “If I’m completely honest I wanted to make the most of Ross’s career and we were able to create images ‘Top Gun, Tom Cruise’ style!” he says. All Darren’s clients complete a ‘wish list’ style form, including ‘must have’ images, group shots and names of all the bridal party. He has already had a pre-planning meeting with Emma and Ross to understand their personal wishes and desires for the photos of their day. Having worked with the Lula Mai team previously, Darren was easily persuaded to join the team for The Big Day and it means a great deal to him to be involved. As a husband and father, Darren understands how important it is to capture special family memories through photography. He enjoys working with families to produce natural-looking images that they will treasure forever. For Darren, it’s about far more than just taking photographs. He enjoys meeting new people and getting to know them and that’s what he aims to capture in every image he takes. He wants people to see the images and know that he took them. His relaxed, no-time -limits style allows for the uniqueness and individuality of each person to shine through. As you’d expect, all the images in this post are from Darren’s pre-wedding shoot with the gorgeous Big Day couple, Emma and Ross. To find out more about Darren Bedding Photography, visit www.darrenbeddingphotography.co.uk, email info@darrenbeddingphotography.co.uk or call Darren on 01295 273108 / 07867 801693. The secret to a smooth and successful wedding is all in the planning and organising and the Big Day wedding is no exception. In this post, we meet the wedding planner extraordinaire behind Ross and Emma’s big day, Christina of Chantilly Rose Weddings and Events. Christina is donating a full wedding planning package to Emma and Ross and will launch her brand new wedding and event planning business after the Big Day in April. Thr ough Chantilly Rose Weddings and Events, Christina will be able to help with all planning needs from supplier sourcing to full wedding planning and general events such as birthdays and anniversaries. 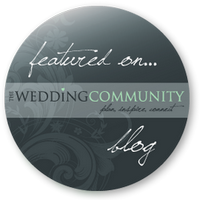 Christina also organises wedding fairs across Oxfordshire, alongside Lula Mai Events, and is the chair of The Oxfordshire Weddings Project – a networking group for local businesses in the wedding industry. Organising and planning comes naturally to Christina and she’s obviously a real people person. After moving to West Oxfordshire in January 2014, due to her husband’s job as an operations controller in the RAF, she didn’t know the local area or anyone living there. So she started researching and only came across one Facebook page dedicated to military families living in the area. Although she found it helpful, she felt more could be done so that other wives in the same situation in the future could benefit. So she started her own Facebook page called Carterton Community, began adding information about local businesses and events and invited others to join and add their small businesses. “What a great idea I thought. The dilemma they had was unfortunately they were so busy with their businesses they didn’t actually have the hours spare that it takes to plan the entire wedding so the whole idea may have to be scrapped. With that I quickly explained how I was wanting to start up a business but wasn’t sure what type of thing I wanted to do. I had spent my school and college years learning about business and always dreamt that one day I would have my very own business. 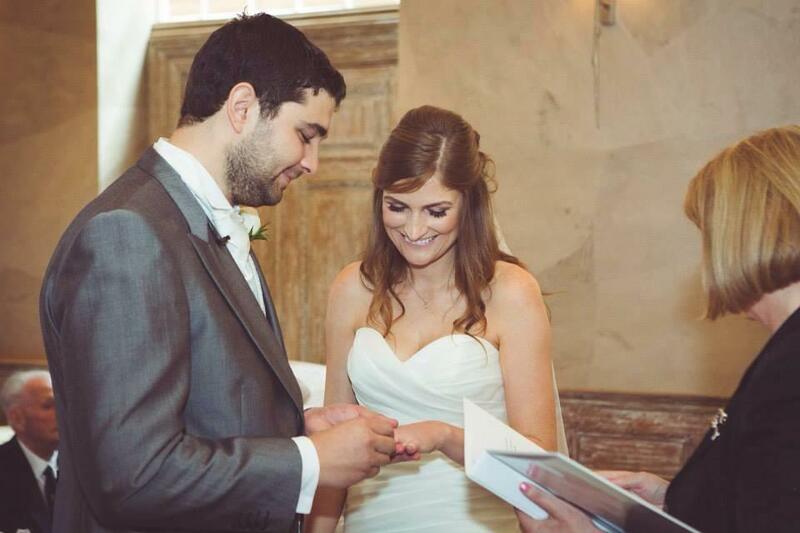 I planned my own wedding in just three short months whilst I was seven months pregnant. What’s next for Chantilly Rose? As the Big Day approaches, Christina has been carefully building her business in the background and making strong relationships with the local wedding industry. She plans to launch in April and has already set up various social media accounts (see below for details) and trained with the UK Alliance of wedding planners. Christina’s website will also be launching in April – to be the first to see it, go to www.chantilly-rose.co.uk and leave your e-mail address. What is it that creates your first impression of a wedding? Gives a sneak peak into the style and colour scheme? Reflects the bride and groom’s personalities? The first impression comes weeks, even months before the big day itself. And it comes from the invitation, or even earlier from the save the date cards. So picking a stationery provider is a hugely significant and personal choice. At Stationery by Sally, Sally Hayward creates handcrafted stationery for weddings and other special occasions. Everything she makes is lovingly put together by hand. 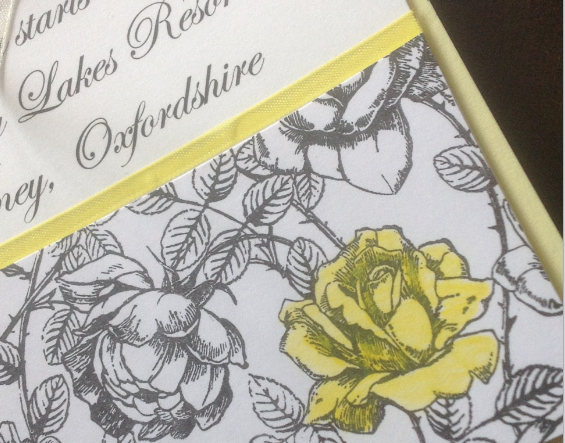 Often the only printed item on an invitation will be the insert. Sally has already provided the save the date and invitations for our Big Day couple, Emma and Ross. She’ll also be supplying the place setting cards and table plan. Choosing stationery for such an important day could be a daunting experience. So Sally works closely with her clients to ensure that they have a fabulous experience and are totally happy with the finished product. Sally started her business in 2010, having made cards and stationery for friends and family for a long time. Sally started by going to craft fairs and it grew from there. By 2012, she was doing more and more wedding stationery – one of her obvious strengths – so this is where most of her energy is focused. To get started with Ross and Emma’s stationery, Sally sat down with them and showed some of the designs she thought would fit their personalities. “Emma didn’t really hesitate in the design she chose,” she says. “And it happens to be one of my favourites”. The main theme is the same throughout the stationery but each part will have a slightly different twist – an idea that both Emma and Ross liked. Most of the conversations take place through email and messaging, saving precious time, as Sally can share photos at every stage of production. Sally is one of the partners in Lula Mai Events, so it was natural for her to be involved from the moment the team decided to give away a wedding.